Der Artikel Dinah Miller: Committed wurde in den Warenkorb gelegt. Ihr Warenkorb enthält nun 1 Artikel im Wert von EUR 22,87. Battle lines have been drawn over involuntary treatment. On one side are those who oppose involuntary psychiatric treatments under any condition. Activists who take up this cause often don't acknowledge that psychiatric symptoms can render people dangerous to themselves or others, regardless of their civil rights. On the other side are groups pushing for increased use of involuntary treatment. These proponents are quick to point out that people with psychiatric illnesses often don't recognize that they are ill, which (from their perspective) makes the discussion of civil rights moot. They may gloss over the sometimes dangerous side effects of psychiatric medications, and they often don't admit that patients, even after their symptoms have abated, are sometimes unhappy that treatment was inflicted upon them. 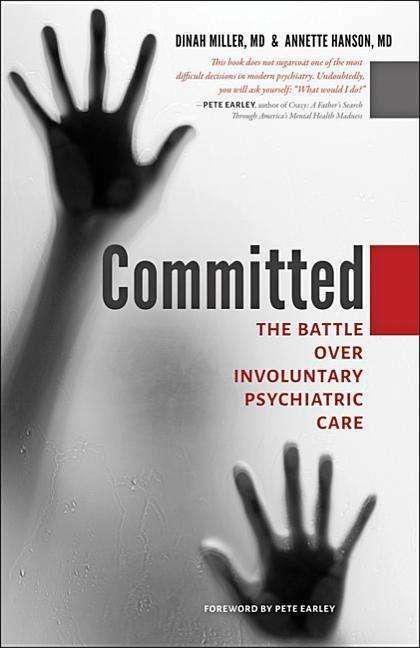 In Committed, psychiatrists Dinah Miller and Annette Hanson offer a thought-provoking and engaging account of the controversy surrounding involuntary psychiatric care in the United States. They bring the issue to life with first-hand accounts from patients, clinicians, advocates, and opponents. Looking at practices such as seclusion and restraint, involuntary medication, and involuntary electroconvulsive therapy¿all within the context of civil rights¿Miller and Hanson illuminate the personal consequences of these controversial practices through voices of people who have been helped by the treatment they had as well as those who have been traumatized by it. 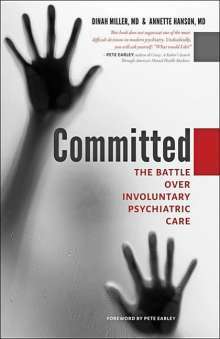 The authors explore the question of whether involuntary treatment has a role in preventing violence, suicide, and mass murder. They delve into the controversial use of court-ordered outpatient treatment at its best and at its worst. Finally, they examine innovative solutions¿mental health court, crisis intervention training, and pretrial diversion¿that are intended to expand access to care while diverting people who have serious mental illness out of the cycle of repeated hospitalization and incarceration. They also assess what psychiatry knows about the prediction of violence and the limitations of laws designed to protect the public.